About | Coding With Spike! Welcome to my software blog. 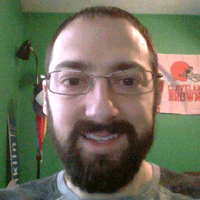 My name is Jeff, and I am a Software Engineer from Ohio. Spike (the green guy in my avatar) is a turtle (I know, you can’t really tell) and is my mascot buddy. Here I share my software development experiences, primarily in C#. waiting for X server to begin accepting connections. Do you know how to fix this so I can run cygwin X window applicaions from my external hard drive? I am using the batch file from your blog to start cygwin on my external drive.